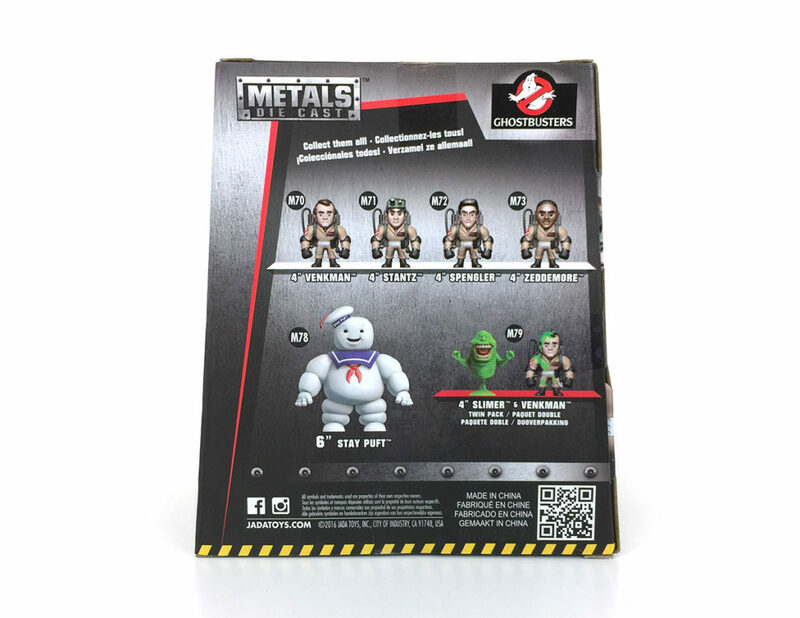 A few months ago, while stalking my local Toys R’ Us for another exclusive, I happened upon a Batman v Superman 2-pack of Metals Die Cast figures. 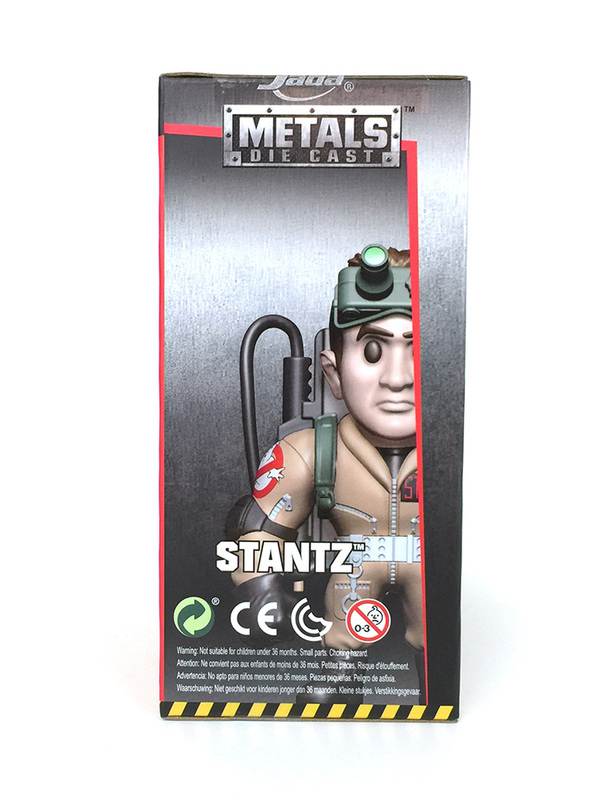 At the time, I had no idea what they were or who made them, but I liked the look of the figures and package. 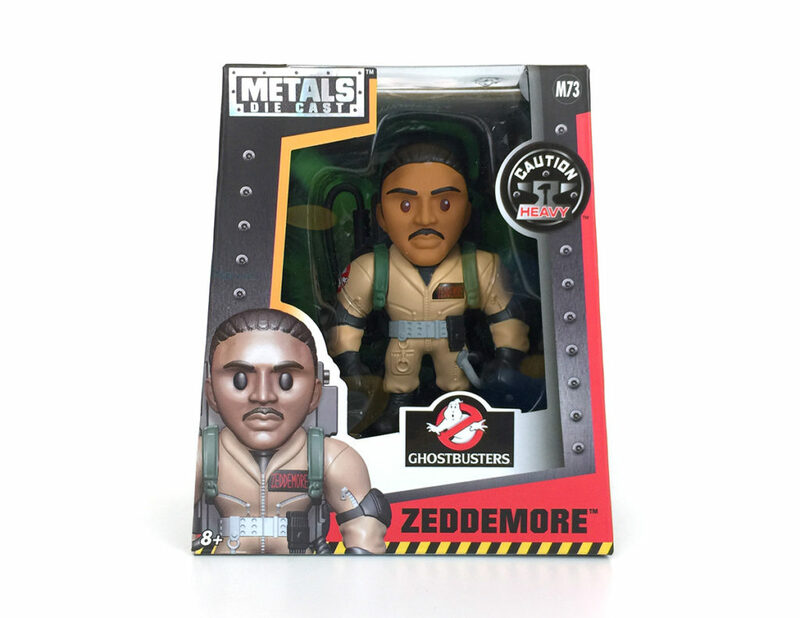 It turns out that the Metals Die Cast line (which are REALLY made of metal) are produced by Jada Toys. We tracked down some contact info and reached out to Jada to find out more. 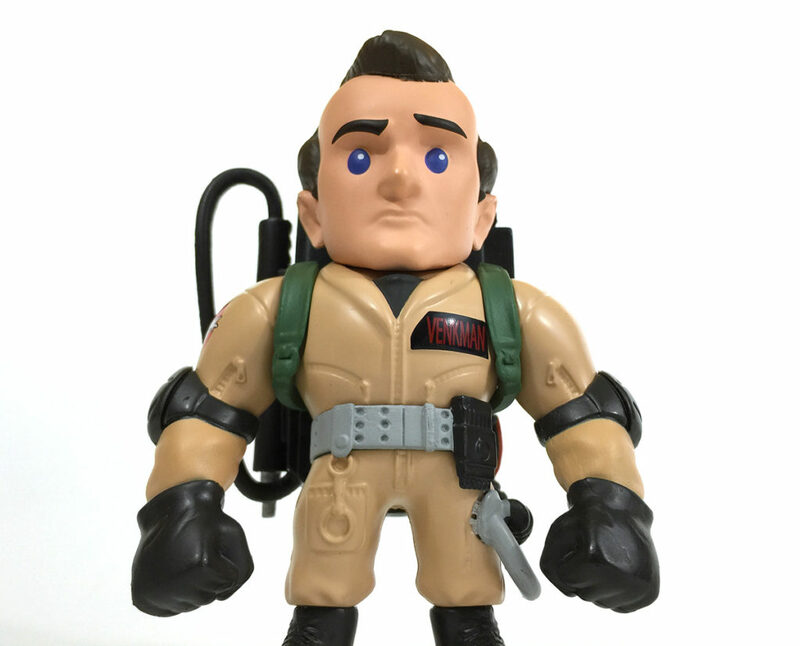 They sent us a little care package that included this amazing Ghostbusters set and we couldn’t wait to have a closer look. 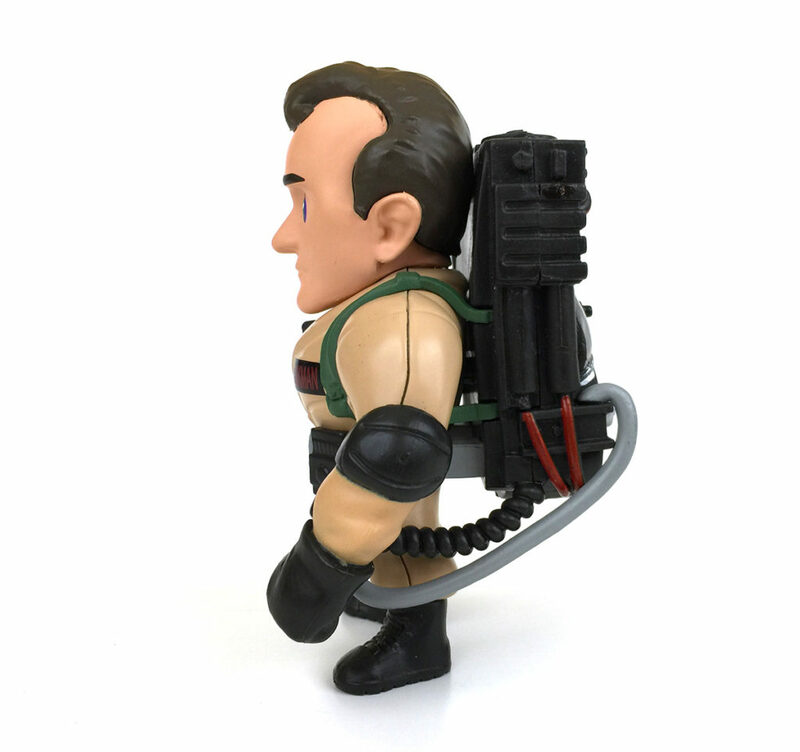 There are six different Ghostbusters figures to choose from and four of those are the individual 4″ characters – Venkman, Stantz, Spengler and Zeddemore. 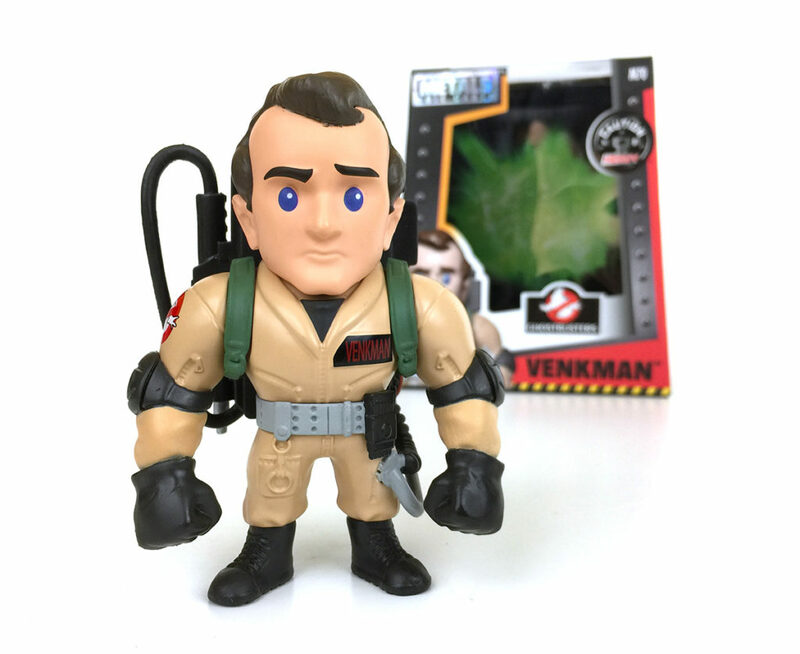 The 4-inch figures are made of die-cast metal and plastic and come packaged in a window box, so you can struggle between the options of being an in-box or out-of-box collector. 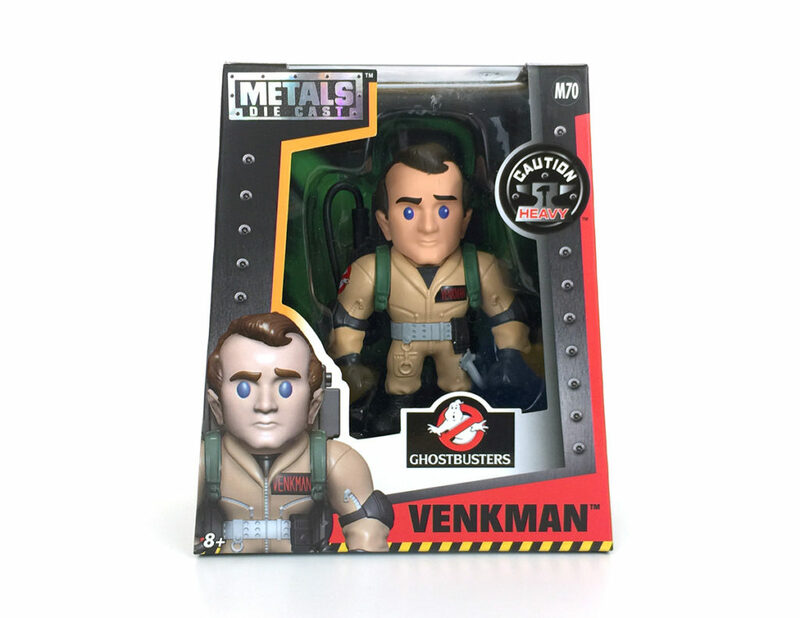 And for those of you who on insist on taking your toys out of the package (it’s OK – we still love ya), here’s a close-up look of Venkman, out of the box. 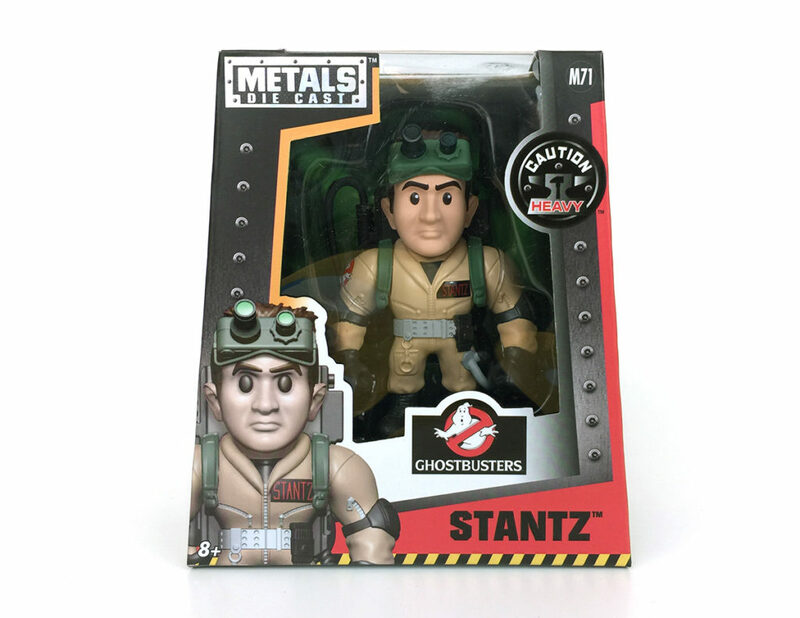 I LOVE the style of the figure (kind of a puffed up bulldog stance) and the detail that they put into each and every one of the Metals Die Cast Figures. 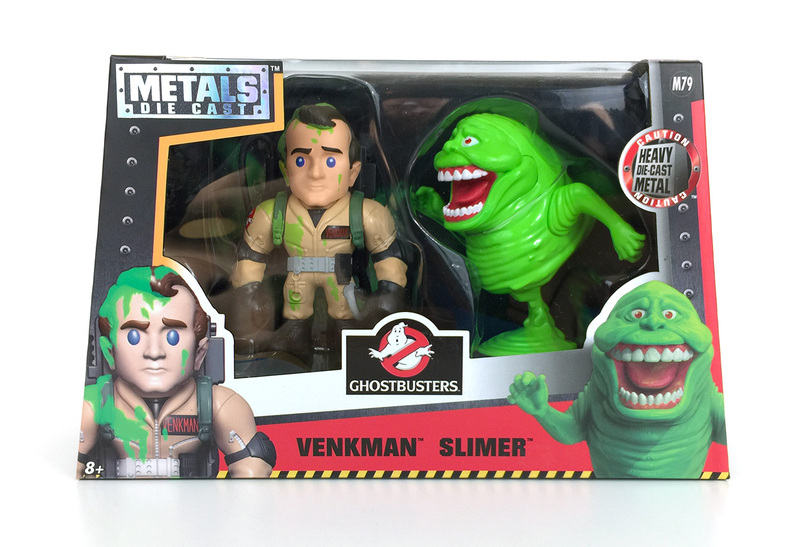 “It’s right here Ray, it’s looking at me” The Slimer & Venkman twin pack is also available, featuring a variant of Venkman, covered in slime. 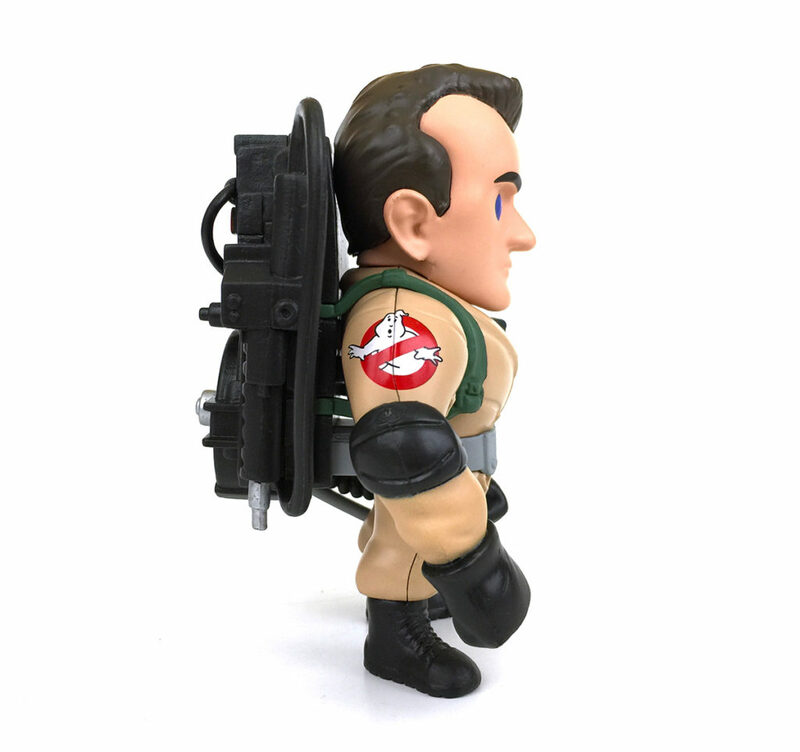 One of the best moments in the original Ghostbusters film and a must-have for this collector. 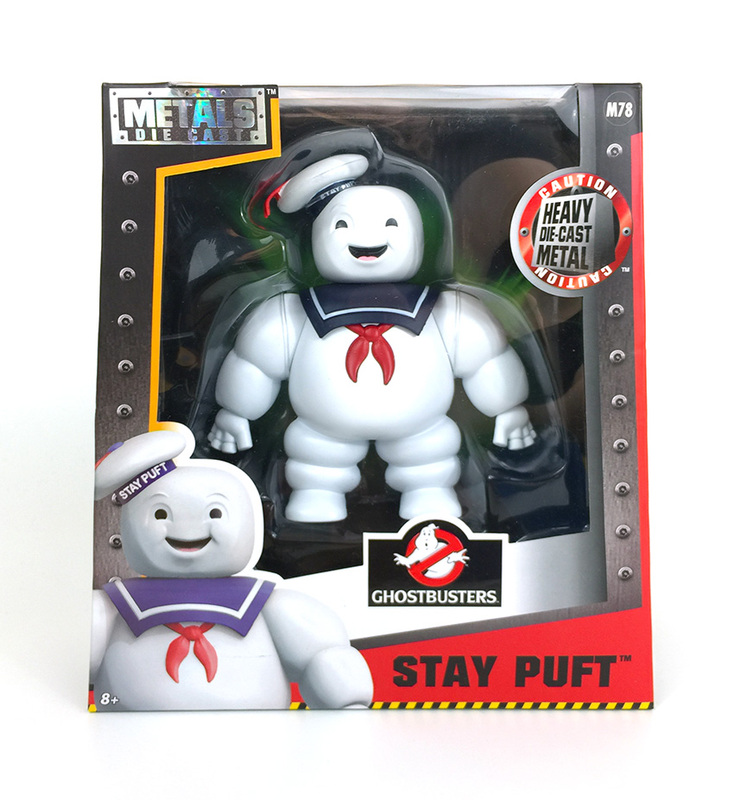 In addition to the 4-inch figures, Jada Toys also produced a giant 6-inch Stay Puft Marshmallow Man. We would have been really mad if they hadn’t. 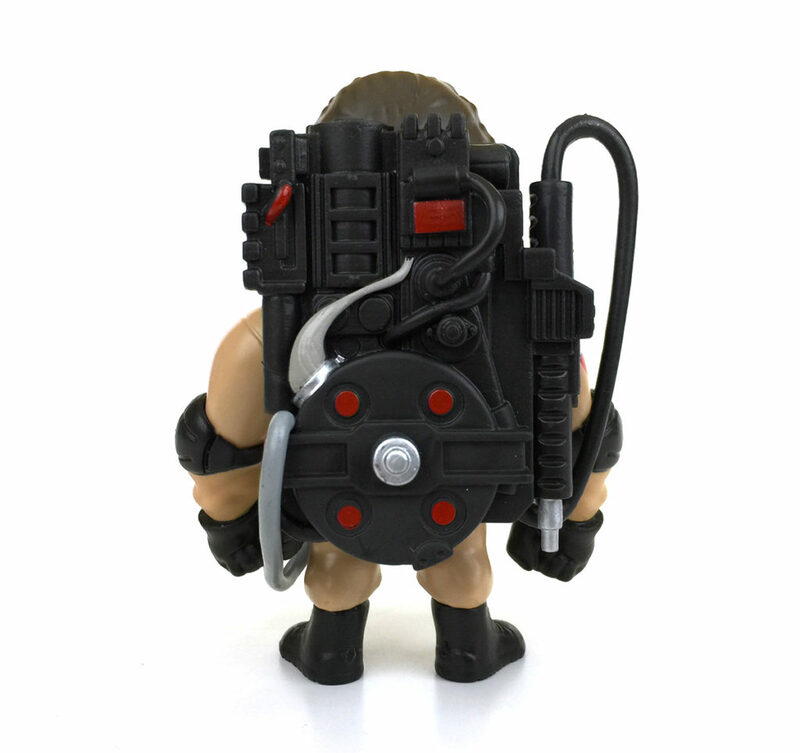 Honestly, Stay Puft is as iconic a character as any of the Ghostbusters team. 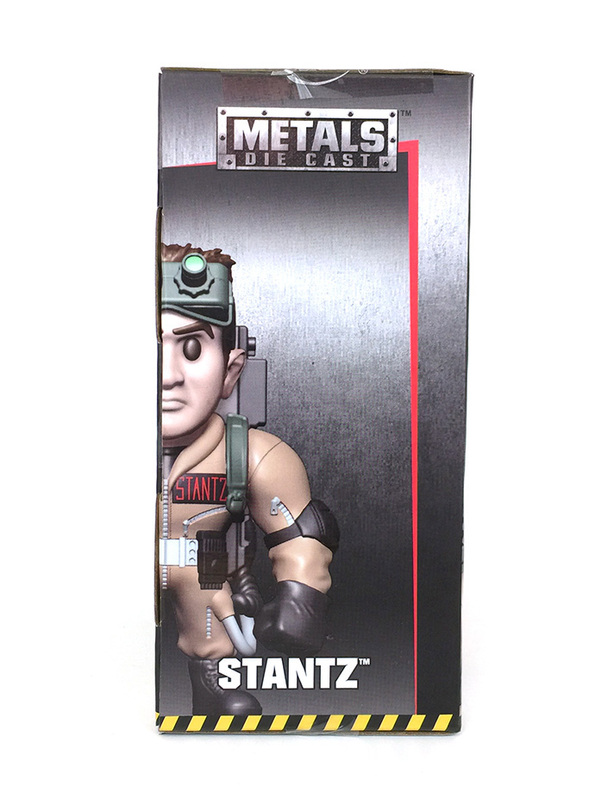 The Metals Die Cast figures are available at some of the box-box retailers (like Target) and probably at your local comic book shop too. 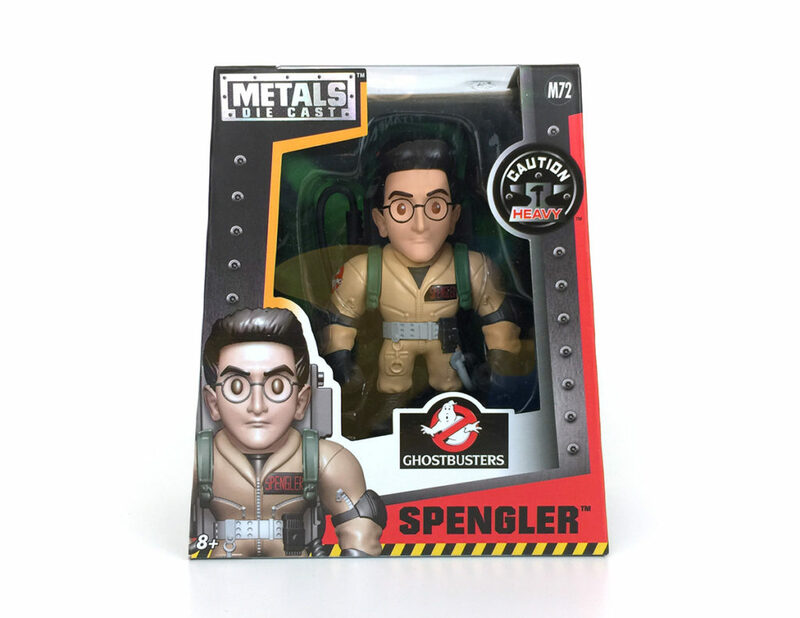 But instead of jumping in the Ecto-1 and driving all over town, you could just order these online and have them delivered to your front door. It’s super easy and will save you a ton of time. 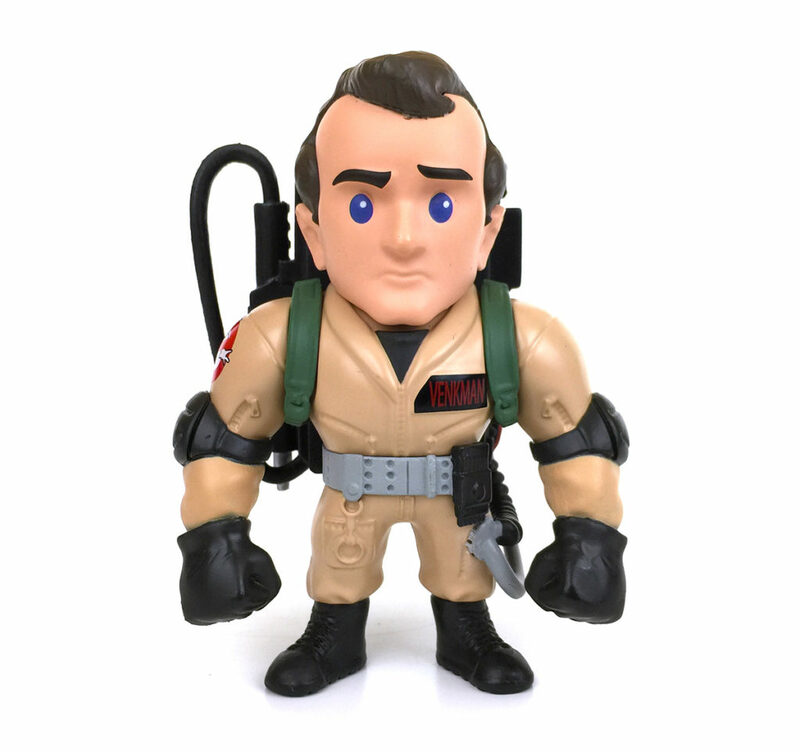 Click on the images above or the big orange button below to order from Entertainment Earth. We are an affiliate and get a referral fee if you purchase, so we would really appreciate it. Thanks for the kind words. Awesome job on the stop-motion video. LOVED it! !